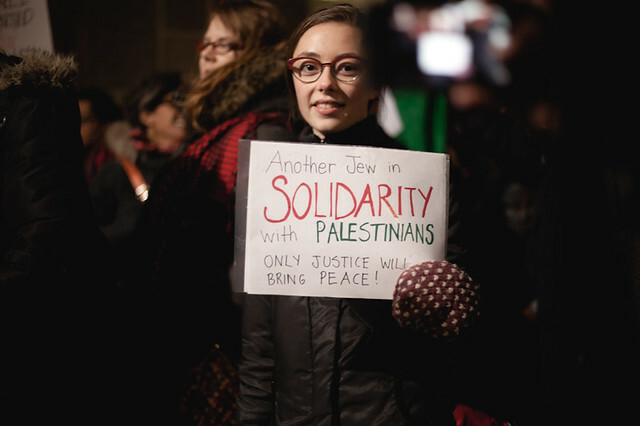 Palestine Solidarity Committee’s mission is support independence, security and self-determination for all the peoples of Israel/Palestine, and to change U.S. policy in the Middle East by educating Americans in ways that American funds and foreign policy are used to maintain the Israeli military occupation which violates Palestinian human rights and generates violence from both sides. We object to the Israeli government’s policies of occupation, apartheid, and dispossession of Palestinians. In opposing these policies and US support for them, our objections are directed at the unjust practices of a political regime, not against the Jewish people of the world.